Here it is, straight from Variety this morning: “Disney is looking to get new mileage out of its Lion King franchise with a new animated series and TV movie planned for its Disney Channel and Disney Junior cablers. Disney Television Animation is producing The Lion Guard, a series that continues the storyline of the Mouse’s boffo 1994 hit feature. 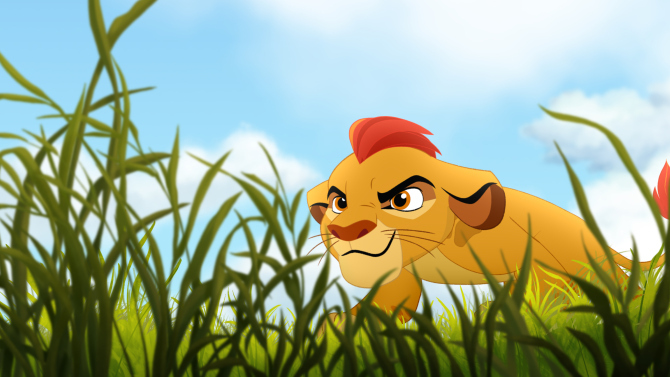 Lion Guard will bow next fall with a TV movie and transition to a regular series in early 2016. ‘We look forward to introducing a whole new generation of kids to both the Disney legacy characters and to new friends and heroes,’ said Nancy Kanter, exec VP of original programming and G.M. of Disney Junior Worldwide. The series incorporates strong environmental and conservation messages as it revolves around lion cub Kion’s role as a member of the Lion Guard group tasked with preserving his family’s natural habitat. Series will revive Lion King characters including Simba, Nala, Timon and Pumbaa. Ford Riley developed Lion Guard and is exec producer.” Keep watching this space for news of the premier!